Moffat, Gertrude MacGregor. 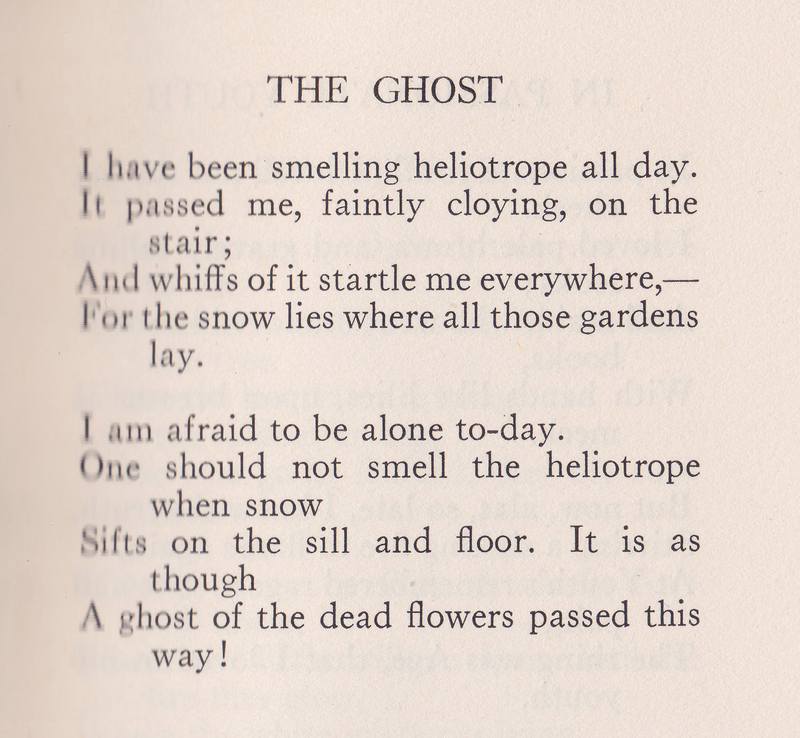 “The Ghost.” A Book of Verse (Toronto: Macmillan, 1924): 17. What a nicely compact and evocative poem!